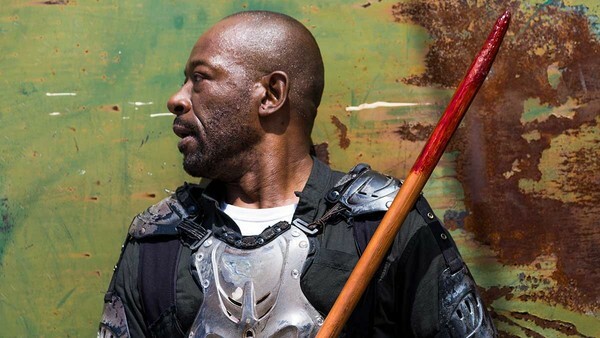 "That would be his biggest adversary..."
As part of our interview with Lennie James to celebrate the forthcoming release of The Walking Dead season 8 on Blu-ray on 21st August, we asked the actor what we could expect next from his character Morgan Jones. The veteran of the first series of the show has now become the first to crossover to Fear The Walking Dead and the midseason finale of that show seemed to be positioning him to travel back to join up with Rick and the TWD characters. 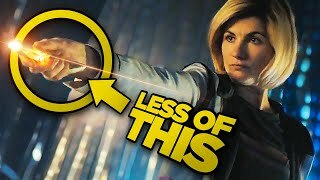 In other words, Morgan is on the verge of a period of transition after being one of the characters who has gone through the most in the show's run to date. He's been through mental health issues, bereavement, struggles with identity and belonging and self-imposed isolation and we're beginning to see something completely different from him. And now, Lennie James has outlined to us what he'd love to see for Morgan as a character in an exclusive interview. WC: What should we expect from Morgan going forward?LJ: I think you've got to - as I will, because it was the request that I gave to the writers and show-runners of Fear... is I want to be surprised by Morgan. I want to find him in situations we haven't seen him in before. I want him to be challenged, not necessarily just by new dangers or new catastrophes to get out of, but also just emotionally. And mentally, to be challenged in who it is that he thinks he is and not just to be sending him back into a kind of mental crisis. LJ: I say it only as really a sort of generalisation, but what would it be like if somebody entered into Morgan's life that offered him the possibility of a relationship? He is so defined by the loss of his wife. He is so defined by the loss of his son. All the time that we've known Morgan, there has genuinely never been the possibility of love. Of intimacy in that way with him. In fact, it's a part of him that has been completely shut down as far as we can tell. I think it would be interesting to see what might happen should someone enter his life that offered that possibility and how far he would either go to stop it or what it would take for him to embrace it.I think that is a fertile area for us to explore with Morgan now that we know him as much as we know him. And not just a will-they-wont-they but actually the price... that box has been closed for so long, what would it take to pry it open? I think it would drive him asbolutely crazy. I think it would be his biggest adversary. I think it would be his biggest challenge. I think it would rock him to his core more than anything else he's come across. He would much rarther dive back into a hole surrounded by walkers than he would face the possibility of being happy with another human being. That's a really interesting point by James and it absolutely would represent fertile new ground for Fear The Walking Dead to explore. Let's hope they take his thoughts into account and we get to see more of his increasingly great character. The Walking Dead is available on Blu-ray from 21st August. Get your copy here.